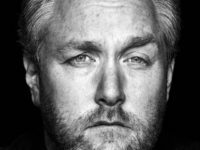 In the wake of sexual harassment and assault allegations against Harvey Weinstein, former White House chief strategist Steve Bannon and his far-right site Breitbart are declaring a new phase of war on the entertainment industry they love to hate. 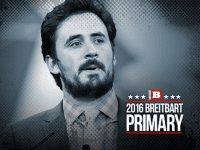 Breitbart Editor-in-Chief Alex Marlow will be the headline guest on Real Time with Bill Maher on Friday, June 16. 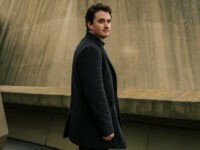 The following highlights come from a long-read profile of Breitbart News Editor-in-Chief Alexander Marlow, a graduate of University of California, Berkeley. 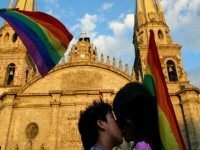 The article appears in the February issue of San Francisco magazine. The W.K. 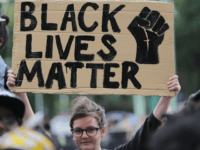 Kellogg Foundation, which maintains strong financial ties to the Kellogg’s Company, has provided at least $930,000 in support of the controversial work of the Black Lives Matter organization. 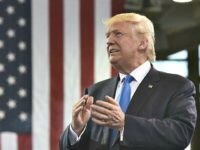 NEW YORK (AP) — Following the installation of Breitbart’s chief executive to a top job in President-elect Donald Trump’s administration, the news organization in its infancy when Barack Obama took office has big expansion plans and the goal of being the best source of news on the new administration. 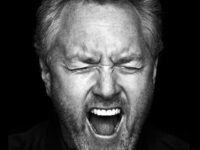 Breitbart News has arrived. 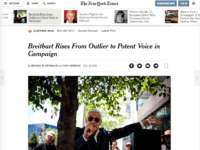 The opinion and news site, once a curiosity of the fringe right wing, is now an increasingly powerful voice, and virtual rallying spot, for millions of disaffected conservatives who propelled Donald J. Trump to the Republican nomination for president. 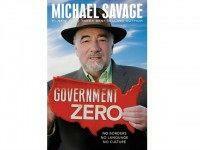 This past weekend, conservative talk radio icon and author of multiple New York Times bestsellers Dr. Michael Savage and Breitbart News Editor-in-Chief Alexander Marlow discussed his latest book Government Zero: No Borders, No Language, No Culture. 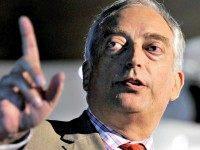 Lord Christopher Monckton, chief policy advisor to the Science and Public Policy Institute and expert for the Heartland institute joined Breitbart News Saturday on Sirius XM Patriot radio to discuss climate change. America’s war veterans are among the most unappreciated members of society. 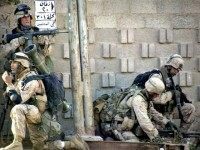 Countless films and documentaries put out by Hollywood and the mainstream media fail to accurately depict their true grit and the horrors they have faced to battle evil the world.